Residents and staff members at Village Green sure know how to throw a party. 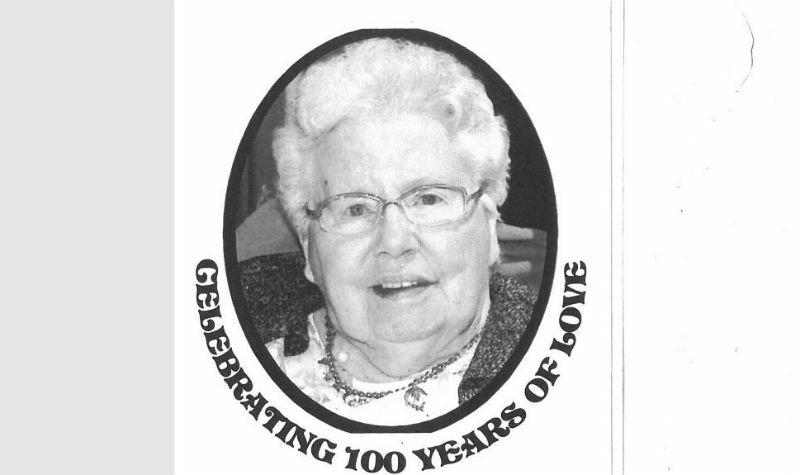 During the week of Feb. 4-8, the Greater Napanee long-term care home honoured resident Maxine “Micki” Saunders with daily events to mark her 100th birthday on Feb. 7. Micki was presented with several letters wishing her a happy birthday, including messages from Hastings-Lennox and Addington MP Mike Bossio, Canadian Prime Minister Justin Trudeau and Queen Elizabeth II. Micki also received many visits from family members, including her twin sister and a daughter who came from Alberta to celebrate Micki’s special day. Her family also brought in a special birthday cake for the occasion. Village Green life enrichment aide Vicki Hamilton says Micki is a much-loved resident at the home who is “very active” and enjoys a wide variety of activities, including music programs, baking and playing bingo. She can often be found socializing with her fellow residents and staff members, Vicki adds. “She is very active in the life enrichment department; she is down with us pretty much all day,” Vicki tells The OMNIway.